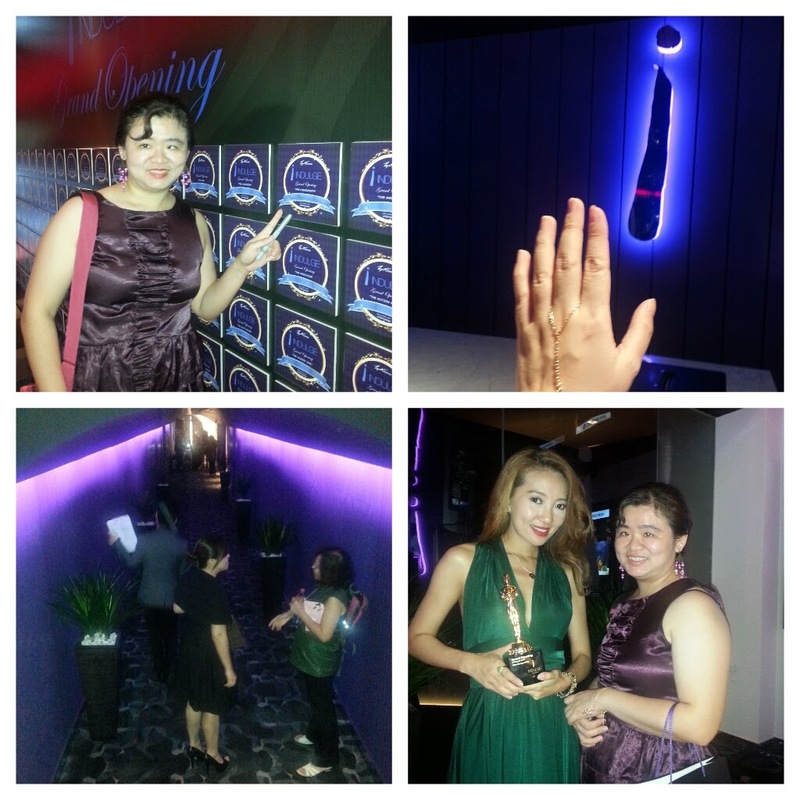 Yesterday I was invited to the launch of Grand Opening of Indulge, Indulge is TGV Cinemas brand new luxury cinema. 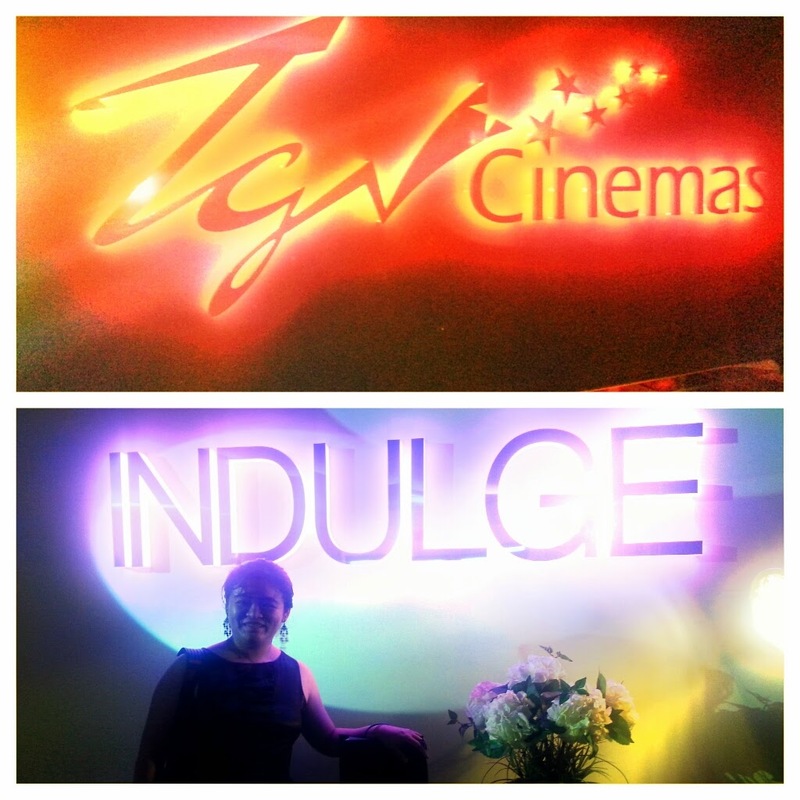 It is located at TGV Cinemas 1 Utama Level 3, 1 Utama Shopping Centre. 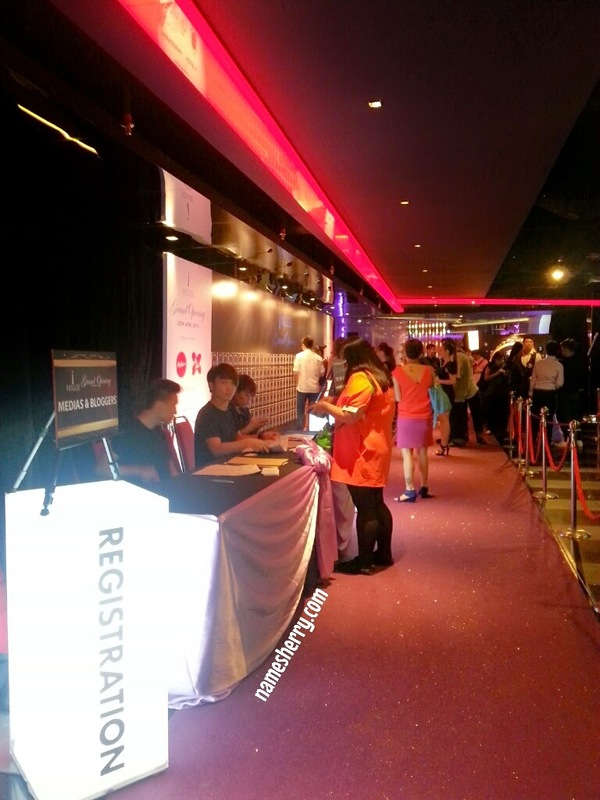 It's exciting we get to walk on the red carpet to the registration counter, we get to choose to sign on the wall of cards where you can select The Director, The Producer, The Diva, Detective and so on. We can bring home the card we have signed to keep sake after the event. They are refreshment provided and I didn't have luck in two lucky draws but my friend Jane is lucky to be one of winners to win Air Asia tickets. Above you are looking at one of the award winners, she is Chelsia Ng, she's so pretty in green dress. 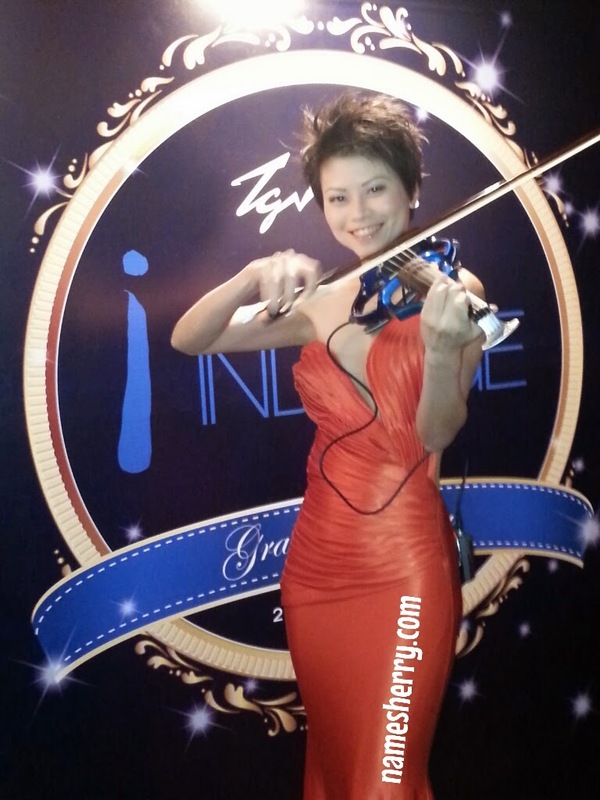 She's in red dress, she's very pretty and she has talent, she's play very well in violin. 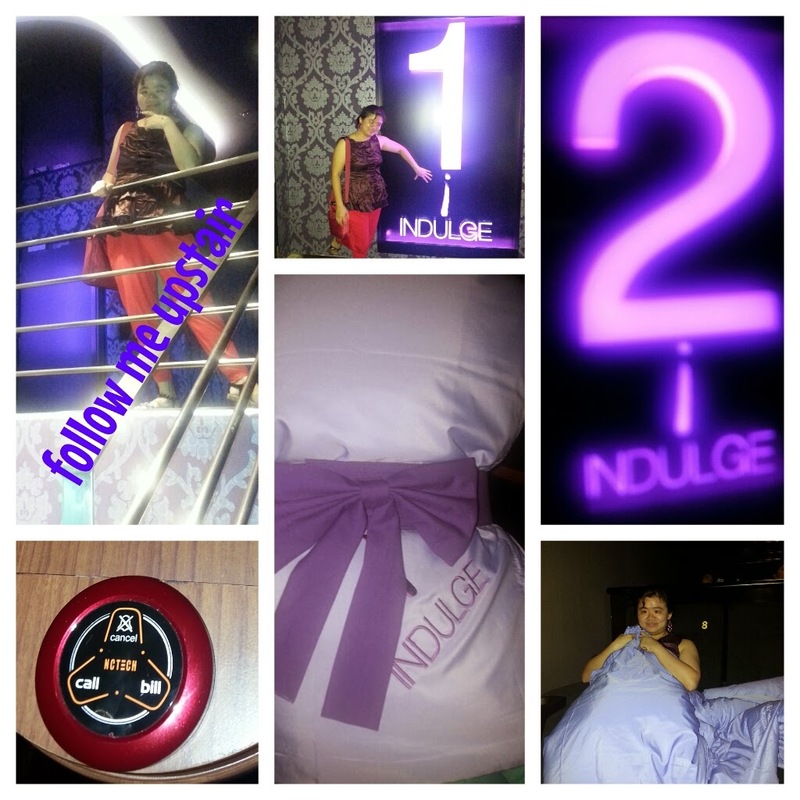 The Indulgence with two halls, Indulge 1 and Indulge 2. 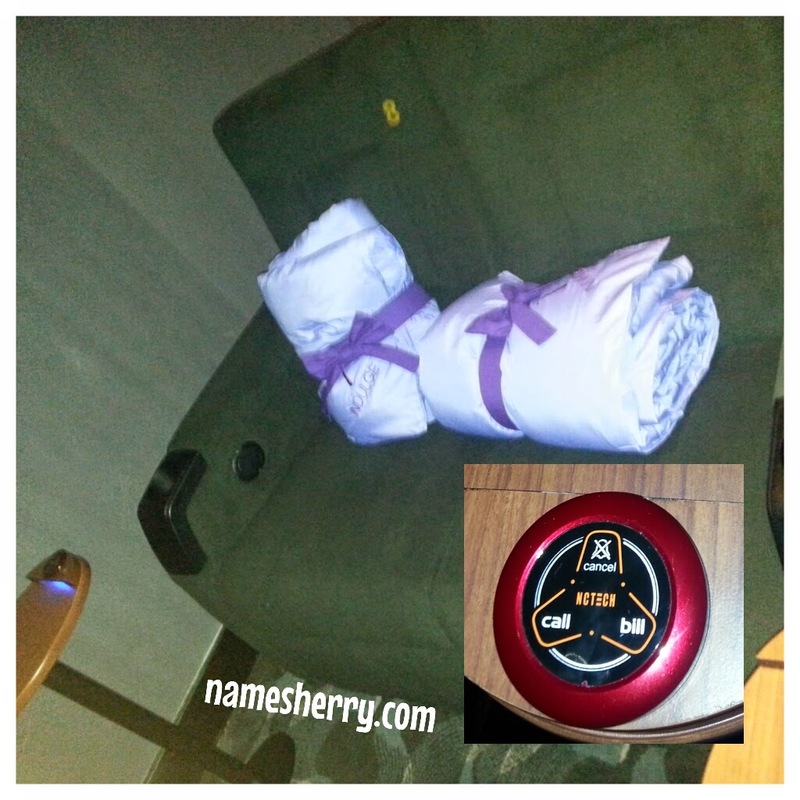 You can order food in the cinema hall, with the comfortable blanket. To order food, just press the call button. 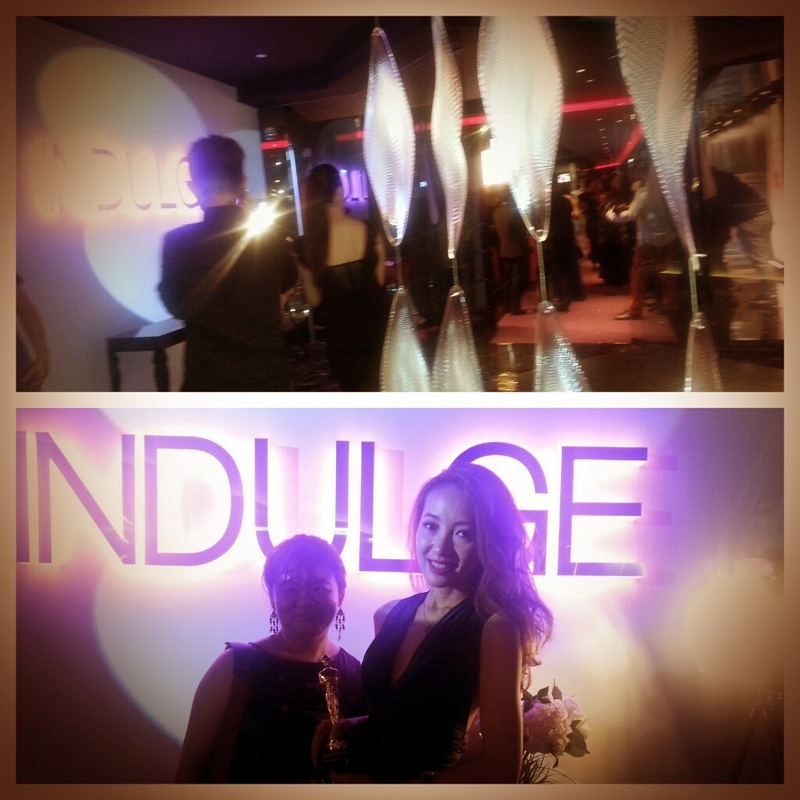 You can check the menu of Indulge, click on the link. Last but not least, another picture of me enjoying the seating in Indulge. I can adjust the seating for my legs to rest higher or lower. 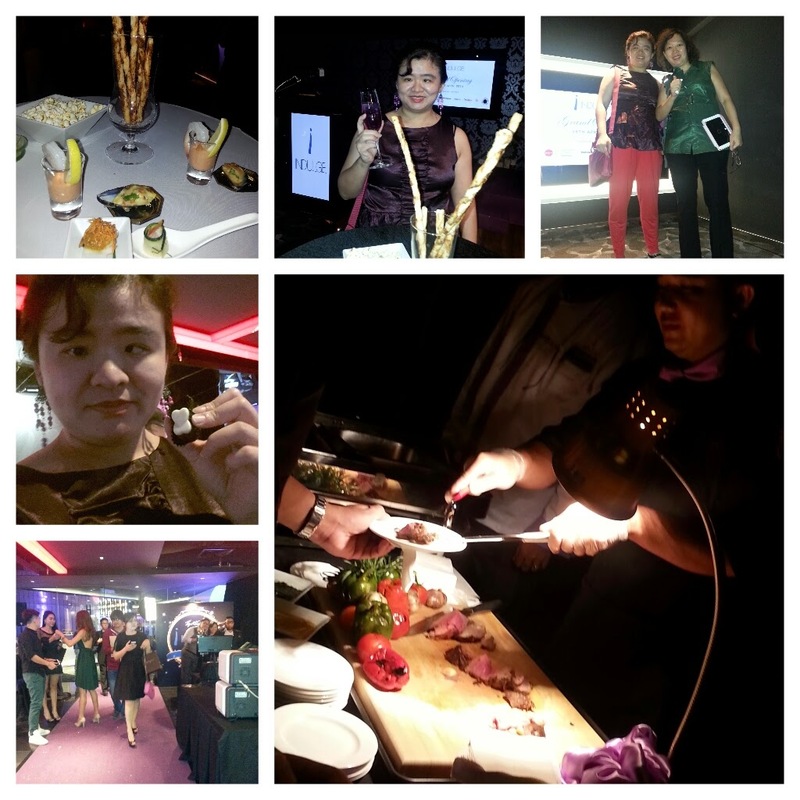 The night we enjoy ourselves, and help ourselves with the refreshment. Soft drink Pepsi or Sprite, beer, red wine, white wine, and champagne. For your information, the ticket price is RM45 per seat. 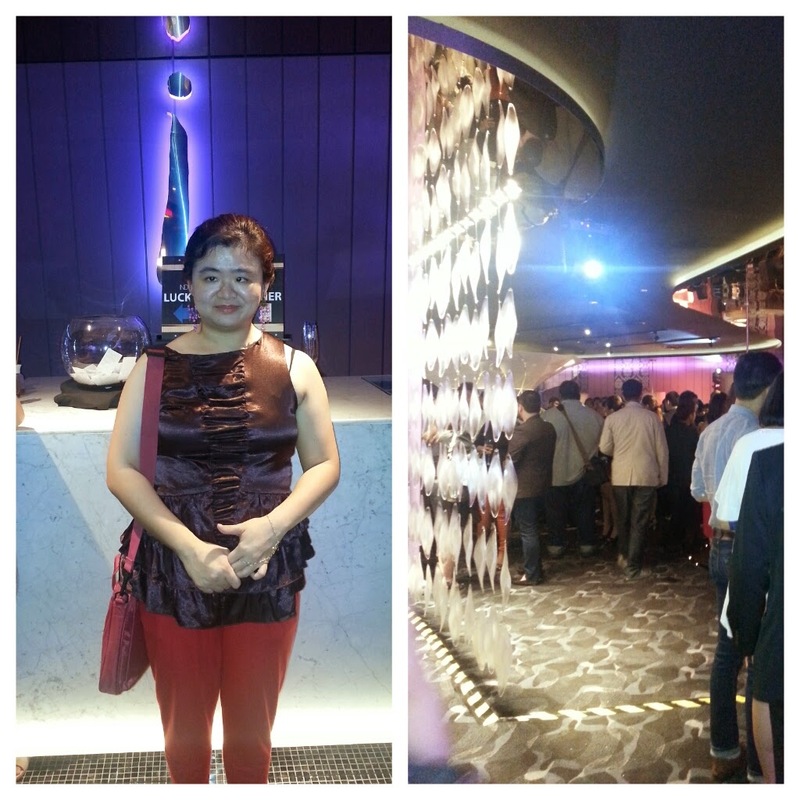 Thank you TGV Cinema for inviting me to this grand opening night. 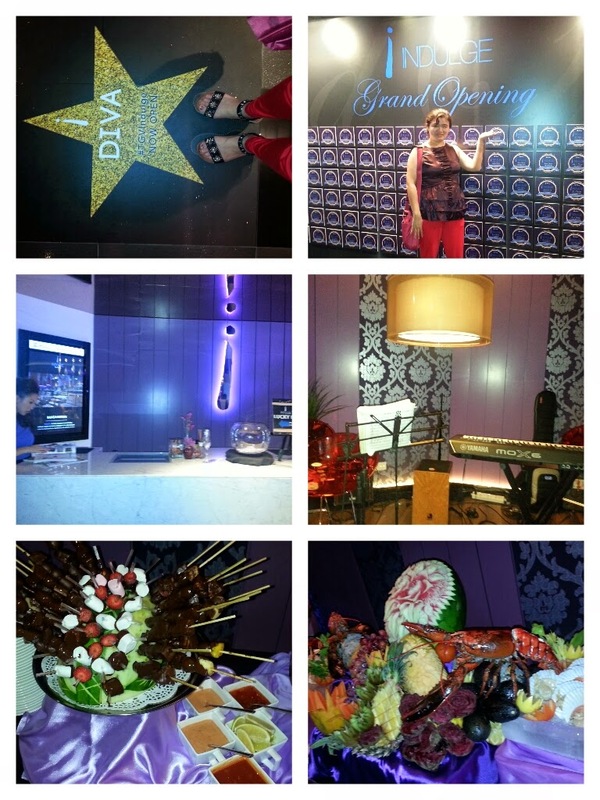 Wow luxurious feel, would love to go there and have a feel of it! This looks really good. Looking forward to trying it out!